Maker of assorted low power chips, VIA, has announced that they are bringing a new $49 PC offering to market. Now many of you maybe reading this article thinking, “Oh, hey. 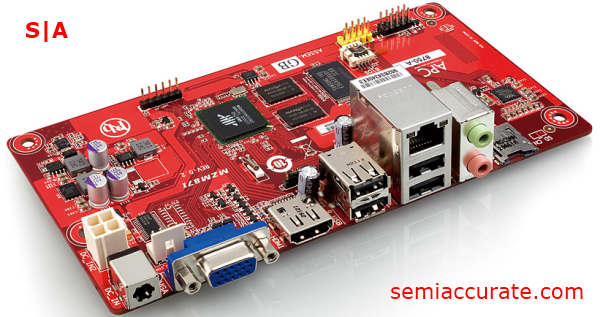 Here’s some competition for Broadcom’s Raspberry Pi.” And you’d be right. 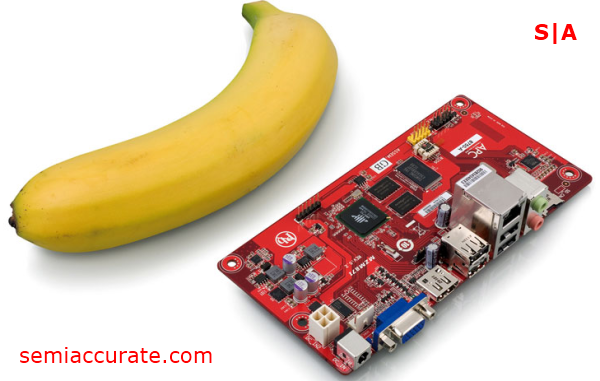 Now VIA’s offering is a bit more expensive at first glance, but this product has a good chance of capitalizing on all of the hype surrounding the Raspberry Pi, which is seen by many as a poster child for low-cost good-enough-computing. The APC Android PC system, which is what VIA is calling this product in its press release, is a small piece of hardware, sub Neo-ITX sized to be exact. It packs the kind of low-end hardware that one might expect from a offering with a 13.5 Watt TDP and $49 price tag. Looking at the back panel we can see that for an ITX motherboard the APC offers quite a bit of connectivity. We’ve got USB, HDMI, and even a microphone jack. Now VIA is really touting the APC’s video playback capabilities which include, “hardware acceleration for the most demanding video formats”, and delivers, “stunning HD quality multimedia”. Take those buzz words for what you will, but it seems that hooking one of these up to your HD TV to watch YouTube videos wouldn’t be a misguided use of this product. While VIA’s APC isn’t nearly as small as the Raspberry Pi, which is close to a third smaller, it does pack a fair bit more in terms of performance and functionality. The APC uses a “VIA WonderMedia ARM 11 SoC” and integrates a half gigabyte of RAM, and two gigabytes of NAND flash storage. The only spec that really separates VIA’s APC is power consumption, which is closer to low-end x86 products than it is to most ARM based offerings. In addition to all of that hardware the APC has been pre-loaded with a custom build of Google’s Android operating system, including all the apps necessary to take advantage of the features that this little board brings to the table. If these specs remind you of smart phone internals then you won’t be surprised when the user experience doesn’t differ much from that example.